Welcome to my blog Enameling Hotline of Cloisonne Jewelry Techniques and others such as Plique a Jour and Champleve Enameling Jewelry Techniques. My site is a donation of everyones time to share and further the education of the fine art of enameling techniques. I am very happy to answer questions to help you, but please ask here and not emailing me directly. It save me time and others can share also. Thanks!! Here I share my life’s passion and inspiration with anyone whom wishes to read. I am thankful I began this portion of my art career with little- to no, instruction. I did not live here in the US where there was a knowledge base and to my advantage my knowledge came from trial and error and today I continue to build on trial and error. I find the quest of knowledge “How, Why” builds more knowledge. And I have to say to the young one’s, don’t be in a hurry, stop, try things, fail, see, discover. Each Topic is a chapter that is constantly growing as I add demos and information to them. 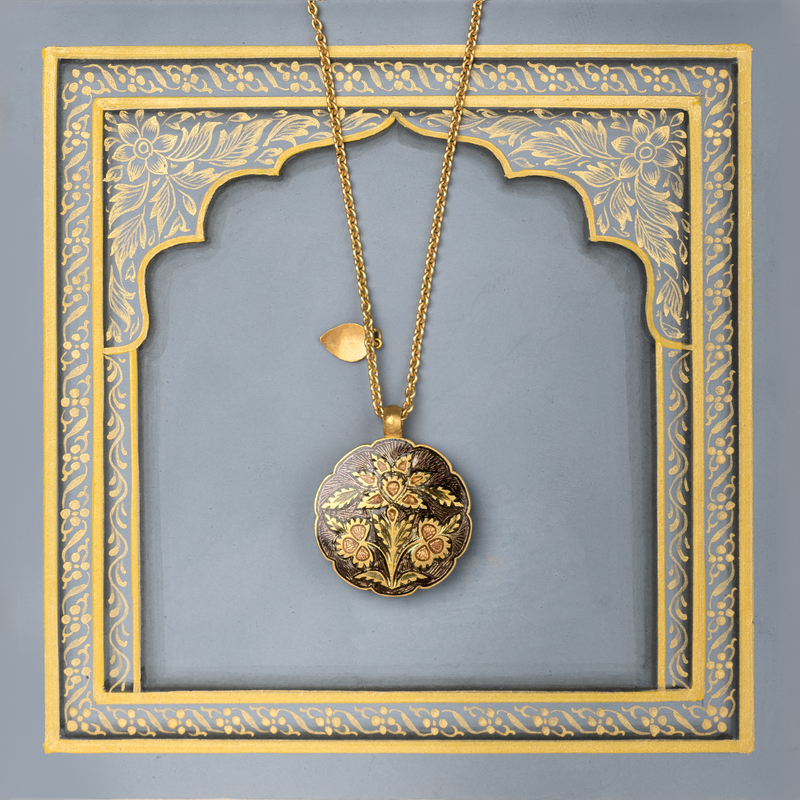 So visit often and learn the beautiful art of Cloisonne, Chamlpeve, Plique a Jour and many other Enameling techniques. I enjoy teaching enameling and other forms of jewelry making. If I can be of help to you to advance your love of this art please visit my page One on One Classes. Enjoy 2 clips from Mer Almagro’s Video of the enameling technique of Grisalla Opal. Enjoy a clip from Mer Almagro’s Video of the enameling technique of Grisalla Opal. Here Mer gives you a beautiful Grisaille Enamel tutorial. I have seen Grisaille used with white opaque enamels over black opaque but her application using opals is just beautiful. After 30 years of enameling, you would think you have seen all the techniques. This is differently a technique I will be using , I can see it helping me in my ocean scenes as well as in my animals. 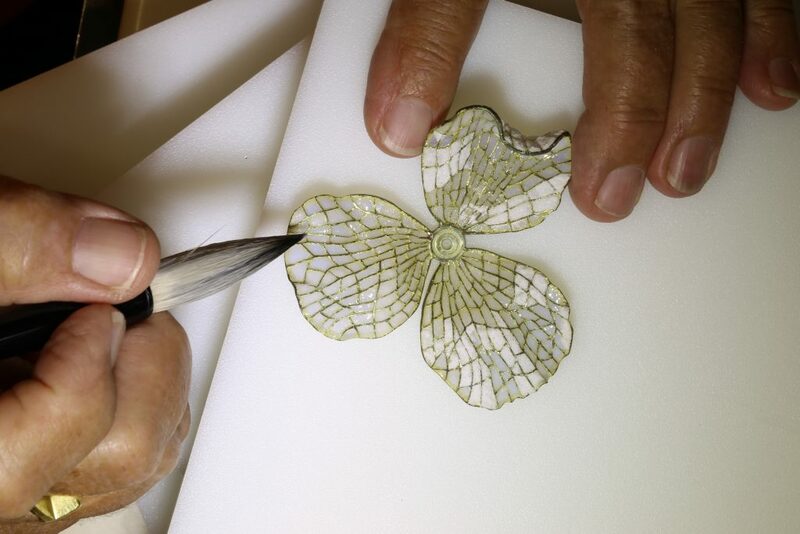 Her work is not only beautiful but also shows any enamelist a very delicate approach to shading your enamels. Here is a link to purchase her video below. The exhibition and auction will be held at Sotheby’s, 1334 York Avenue, New York NY 10021. It recommended you practice watching one of the auctions taking place before April 17th. We are very excited about the sale and look forward to great results! My KILNS for enameling and other artist needs. Jewelers, potters,glass work, and PMC Kilns. 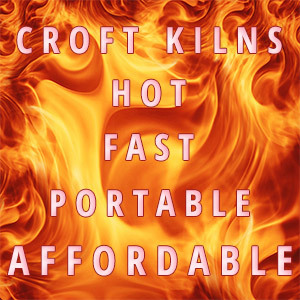 They are hot, fast, portable and most affordable. Kilns with 5 Star reviews! 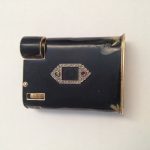 I have happened upon your website while looking for tips on repairing broken off enamel on a 1930s Cartier lighter. 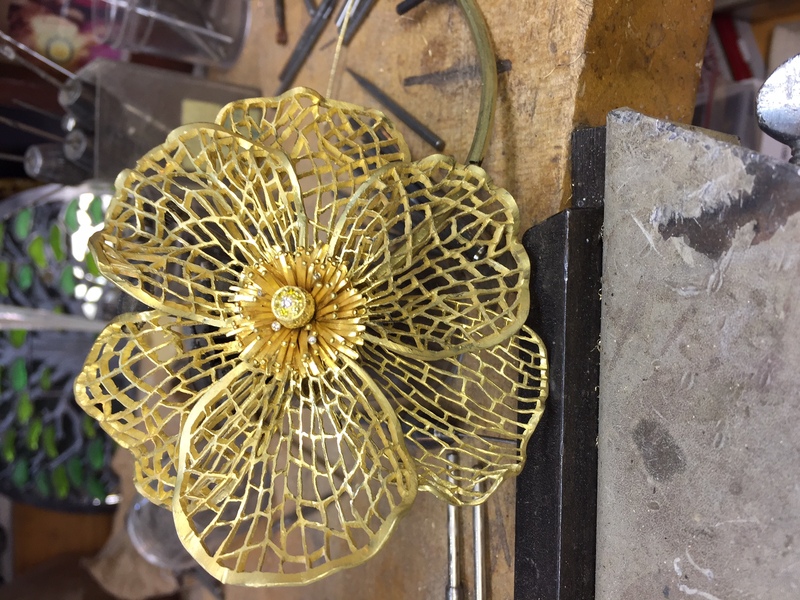 I am a goldsmith by training and many years ago while studying at Memphis Art College I worked on a few pieces of enameled work. I am enclosing some pics. of the lighter I am trying to restore. Can I use my soldering torch ( propane ad oxy) selectively to apply enamel where needed? I also have a casting torch which would allow for bigger flame. Hi Igor, Sorry it has taken me so long to respond.And thank you for your kind words. This might take more than one response, but let’s try. First unless you are very skilled I would not try this. Not saying I am, I have tried some antique jewels with success and some not! But if you love it so much and want to I would start by taken it apart. All the way down to the point where you have only the shell of the case in hand. Even on new enamel you can not repair the fresh enamel without first cleaning sanding, firing before you add new enamel. Then there is the problem of the exposed metal oxidizing while you are trying to fire the old enamel. With this in mind I would remove all the enamel. You can do this with etch-all. Once the gold is exposed you can test the gold to know the karat as well as testing the solder. Now is when you would repair the gold sleeve. I saw it was dented in several places.Once it is all repaired you could apply a very thin coat of enamel. It almost looks like it was airbrushed on. But you will know how thin the enamel was when you have it apart. I would test the black enamel on a piece of the same karat of gold to see how it reacts, but I believe you would not need flux…BUT TEST! To get that smooth fine finish you would sand it and polish with diamond past polish to 50,000 grit. After sanding you start the diamond paste at 600 grit and go up to the 50,000. With the very thin gold sleeve and a very thin layer of enamel I do not think it was counter enameled. Again you will know when you take is apart. Igor, I forgot to mention, the torch is not a good idea. The fumes from a torch can only be applied indirectly. They cause the enamels to blacken. Also think how thin the metal is and the enamel. High heat is dangerous, with the torches you mentioned. I have been amazed over the years looking at antiques how thin the gold metal and the enamels are. At one time I could not figure how this was accomplished. But now with age I see our enamels have changed. Leads are out which make enamels flow at a lower temp… cadmium out which make solder flow, also at lower temps… we are using synthetic products to make our supplies, changes the properties of our supplies. I do not think that the gold in this lighter is a sleeve. I believe the whole lighter is gold, no base metal. 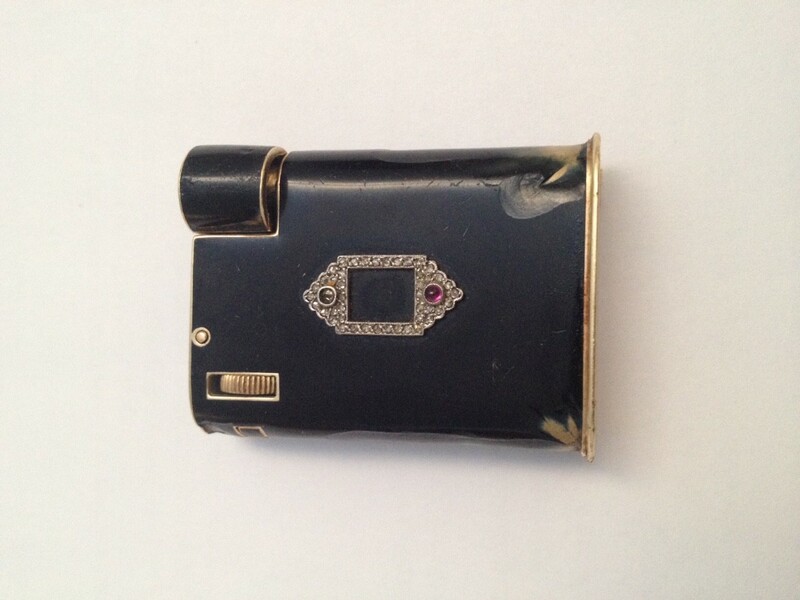 I do not think I would want the old enamel removed, it is part of the original state the lighter was found in. What about using a low temperature firing enamel in just the areas where it is missing? This way one could see what was original and what is reconstructed. Do you think the result would be acceptable? Igor, I have never seen one that did not come apart in some way. There are parts of any working jewel that can not be heated and retain their integrity. In my opinion if you are going to patch the lighter it will be noticeable, it might even melt. I have seen this happen when one did not know the metal or solder. Then the jewel is destroyed. So you might just as well leave it as is, and your thoughts”This way one could see what was original and what is reconstructed.” One will see the original whole. Thank you for your informative blog. It’s been so helpful. 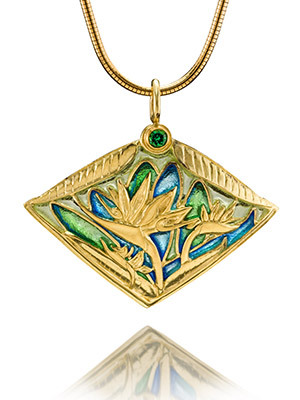 I am looking for some hard Fusing Enamels I can use As a base for my painting enamel jewelry. Something other than a white color. Can you recommend a brand that makes them? Thank you for the visit. I have spent most of my time in transparent enamels. 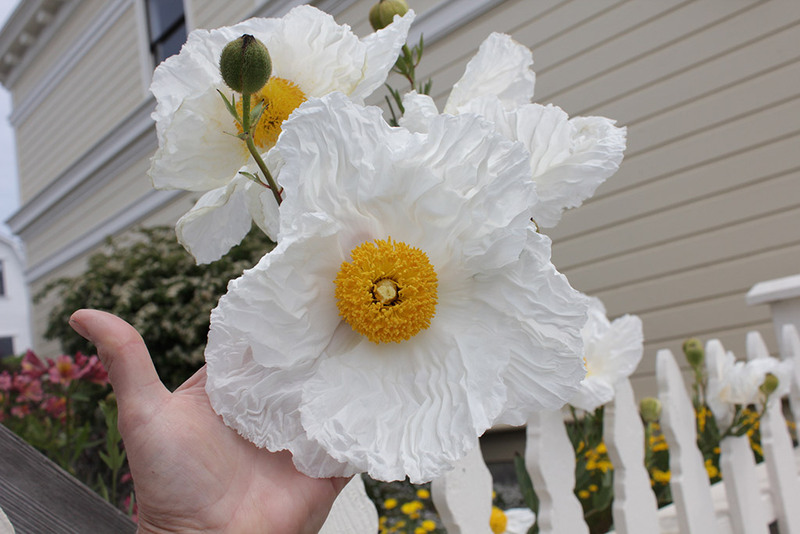 I am familiar with white opaques but not any other colors. When I am looking for an enamel I order as many brands as I can of the color I want and test them. I believe at this time E-namels carries more brands that anyone, so it would be easier to check that website. No one co advertises hard enamels, for our process. 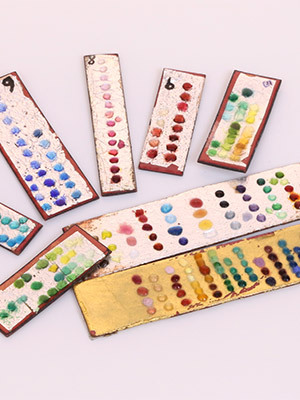 They call the medium firing enamels, and it is just by chance some are harder. Remember to make a test plate and make your dots the same size and fire once, for best result. I have a question about the strength of fine silver as a base metal for enamelling. I love the look of fine silver under blue transparent enamels. I have tried bringing the fine silver to the surface of sterling silver but I find the colour is not as beautiful as it is on fine. I also like the look of texture under transparent so can’t use foil as it covers this up. I use a variety of Thompsons blue transparent enamels and apply them directly onto the fine silver and fire at 1400F. I have attached an image for your reference. The greenish coloured one is fine silver and the cloudy blue is sterling silver that had the fine silver brought to the surface before enamelling. The piece is a fish tail and will be part of an earring. The holes at the top will have a cold connection that will join it to the rest of the piece. I have selected a thin gauge sheet so the piece is not too heavy. The tail is saw pieced from fine silver sheet 0.5mm thick. 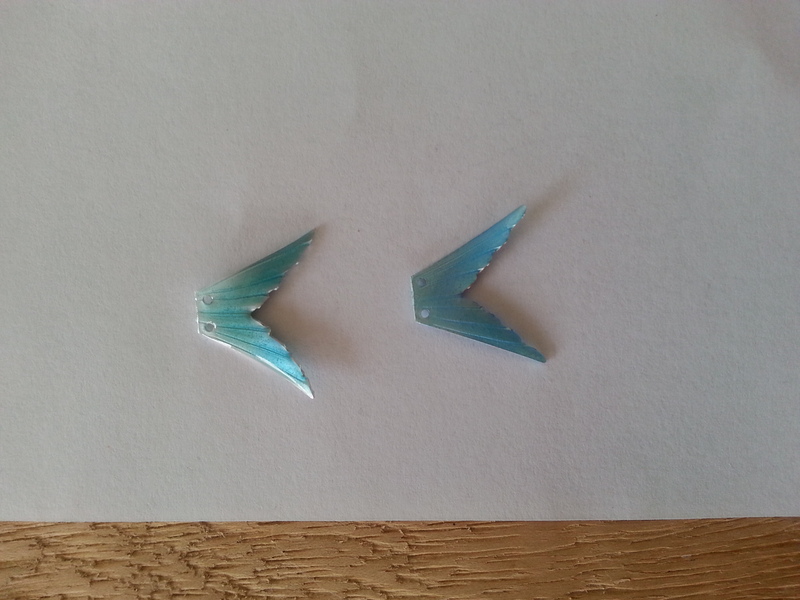 The shape is approx 20 x 15mm. I have then used a burnisher to impress lines on both sides to slightly thicken the sheet and give it texture. I have also curved the tail ends to give it more form. This is to give the thin sheet some structure to help the enamel stick. I enamel directly with my chosen colour onto both sides with about two coats. The final overall thickness is about 1.5mm. I try and make sure the finish is even. 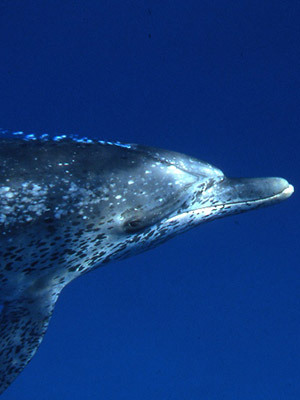 The enamel is always thinner on both sides towards the edges and around the drill holes and at the points of the tail since there is no border. Do you think my design is too fragile? Will the fine silver sheet be thick enough to hold enamel for a piece this size or should I switch to sterling/argentium and sacrifice colour? Is the shape of my design and sheet format going to cause the enamel to chip off at the edges or tail end (this has happened before but may have been due to uneven enamel)? 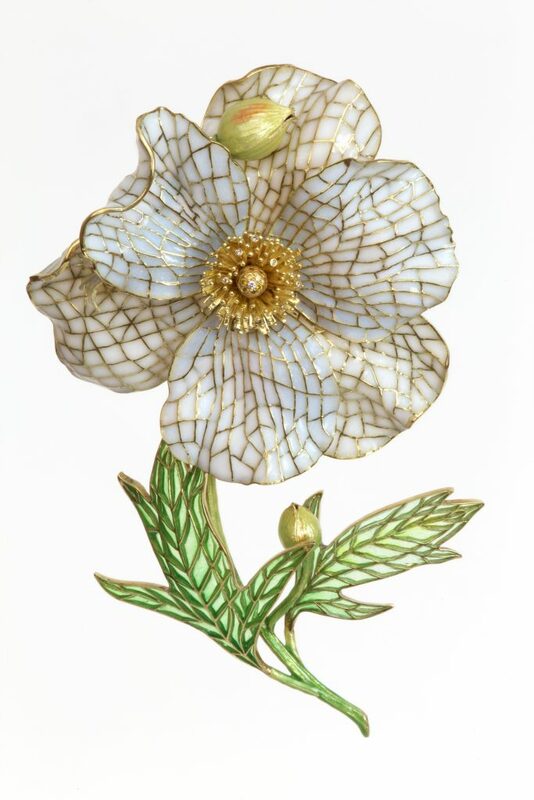 I could incorporate a border by using a double sided champlevé or cloisonné method. This would obviously change the design and be more time consuming but I want to make durable work. 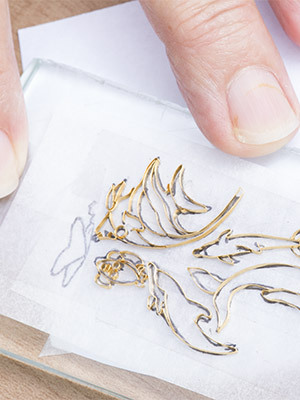 If I went down the border route… could I get away with using 0.5mm fine silver sheet in the middle and a border thickness of 0.3mm of either fine sheet or cloisonné wire on either side? If not what would be the thinnest that I could get away with? Thanks so much for any advice and sorry for the long question! I want to give as much detail as I can. “I have a question about the strength of fine silver as a base metal for enamelling. I love the look of fine silver under blue transparent enamels. I have tried bringing the fine silver to the surface of sterling silver but I find the colour is not as beautiful as it is on fine”. I agree but you will have to play some more to make your decision. It has been written ..thin metal thick enamel, thick metal thin enamel. I have seen this in some of my enameling book that date late 1800. After you deplete the SS you should tumble it and clean it with hydrogen peroxide before enameling. See if you like this when enameled. I have enamel earrings of my Mom’s that the metal is .30mm and enamel is .40mm on each side. There is a bit of a curve all around the edges and no enamel on the outside edge. They measure 30 x 25mm. These are probably 40 years old. But I know they are SS. You mentioned on the edges the enamel is thinner which is typical as the enamel grains will slide off the edges in placing it in kiln. Here I would cut my design a bit larger than desired and sand it back after enameling is complete. Maybe .5mm. On the connection hole at the top, same thing. Use a diamond bur to open the hole larger after enameling. With the fine silver it would be easy before enameling to burnish the edges to create a tiny wall edge to act as a stop the enamel. “Is the shape of my design and sheet format going to cause the enamel to chip off at the edges or tail end this has happened before but may have been due to uneven enamel”. It is very important to keep the enamel even. After firing, before you sand back the edges sand all the surface to see you have it even. You can use sanding sticks from Gesswein, Gesswein® RA Stones. They come in 400, 600 800, grit. Then glass brush and refire. Then you can sand back the edges. So long story short, try these things before you start another journey. Thanks so much for your reply! I will start experimenting with these suggestions. What a great idea to file back the outside afterwards to give a thicker edge to the enamel. Would a final re-fire cause the enamel to retreat again from the edge? Don’t forget to burnish the edges back to add a tiny lip. Then when you file it back you still have some thickness on the edge. No the re-fire is only a flash fire, just enough to smooth the surface after you have sanded it. Hi Patsy, I have a quick question for you. When I took your workshop, you were using Hauser gold closionne wire (I think) and it was thinner than the wire I got from Enamelworks. I talked to Coral and she will roll some for me if I know what the thickness is. Would you please measure the thickness of your wire and send it to me? I really liked your wire better than the 30 gauge Coral sells. Thanks. It is from Hauser Miller. The size is .005 x .040 ” this is one of their stock cloisonné wire sizes. Thanks for your quick reply Patsy. I’ll let Coral know. I’m filling out my color palate before Coral retires. Hope you are doing well. I have been experimenting with enamels since late last year. I want to use them to make colourful handmade silver sequins which I will then use to make larger pieces of jewellery. I am worried about the longevity of the work I am making. Over time my enamels will sometimes end up with a hairline crack and some have even chipped/popped off. I am enamelling on fine silver with Thompsons enamels (transparent). The pieces are approx 6mm x 4mm with a 1mm drill hole in the top and are about 0.25mm thick. 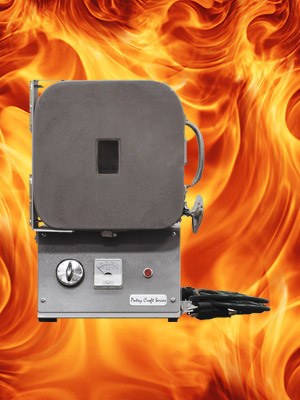 I fire for around 35 seconds at 1450 -1500 Fahrenheit. I enamel both sides and have worked out a little hanging system for them so they don’t stick to the steel mesh. Since they are so fiddly I am applying one coat of enamel to each side. I am trying to put a decent amount on in one go. Each sequin is fired twice (for each side). My main concern is the fragility of these sequins. I really like the effect but as I mentioned I have had some random hairline cracks and popping off especially around the drill hole where the enamel is very thin. I want to figure out a way of making them more durable. My question is do you think I would have more luck with their durability if I used a thicker metal sheet to start? I can’t go too thick as they are fine and tiny pieces but I could go to 0.35 or even 0.4mm. Should I use a thicker coat of enamel? Say 2 coats of each side? This would be more time consuming but anything would be better than them breaking. Any suggestions for the drill hole section as this is the most fragile part. Should I just not enamel around this bit at all? I would be happy to leave it as it is hidden in the designs but the only problem is that the metal is so soft and this might also cause the enamel to break off the rest of the sequin. I really want to come up with a solution but I am worried that I am working against the nature of this material with my design and it just might not be possible as a durable solution. I know I need to keep experimenting but any suggestions on the direction of my experimenting would be greatly appreciated. I have found your website very useful. I thought it might be worth sending you an email to see if you had any thoughts. This is a beautiful idea. You should not have cracking or chipping if the enamel thickness is even on both sides. So check that, there is a caliper to measure this under tidbits. Around the holes is an easy place to chip. After drilling out the hole use a tool like a scribe and burnish each side of the hole, front and back, to make the edges blare out a bit to help hold the enamel, makes it like a stop so the enamel stays thicker there. It is hard to get an even surface on such a tiny piece, so you might have to back track a bit and sand off some enamel in any high spots, clean and refine. Another thing you can try would be to dome, slightly, the tiny disc, helps with expansion = cracking. I would suggest you turn down the temperature a bit, 1400 even. The disc are so small, they heat up quickly, it is easy for the enamel to be pooling one direction. Yes I looked again at your photo and it is thicker on the ends. If you have to hang them to fire them you will get the enamel running to the bottom esp. at such a high firing temp. If you dome them a bit you cam lay them down on fire brick and cover it with kiln cloth. The enamel will not touch any thing this way and fire evenly. I recently started enameling and I ran into your amazing blog. The information is so helpful and I’ve learned so much from it. I was wondering if you could help me out with a question I have. I used 18k gold with enamel for the first time last week and after firing it, it oxidizes and turns black, and I have no idea how to bring back the shine. In the bigger pieces it was easier because I just sanded it and polished it but when I have very small parts I can’t get to all the surfaces and some parts remain black. Could you help me out? Can I put a piece in the pickle once it’s been enameled or is there a better way to prevent fire scale? I enamel on 18k, but first I deplete the surface in nitric acid. I use 70% Regina you can find online. I wear all the proper safety equipment, and in a small glass pyrex add only enough acid to cover the piece of 18k. I heat it on a hot plate enough to be warm. My jewel goes in the kiln at whatever my firing temp is. Usual I fire at 1420. I leave it in the kiln the time I know I will be firing when I enamel it. Lets say a minute and a 15 seconds. It oxides and I place it in the acid. It is now clean of oxidation. Rinse in water and dry. I repeat this till it no longer oxides. Could take 10 times. Then a slow short tumble and clean with peroxide and a cue tip. Now you are ready to enamel. You might have some = very little oxidation by the time you are finished enameling but it is only in the bare metal areas so just tumble again to remove. Unless you have tested the enamel in pickle I would not go that route. Thank you so much Patsy, I will try that! Do you do commission work? I am restoring a very fine 1936 Pierce Arrow that has a 2″ disk of Cloisonne’ in their centers. There does not appear to be any patter or design on them, but look to be a solid reddish color. Please contact me, and i can mail you one, or at least send a photo. 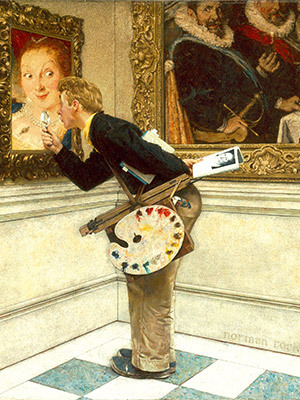 Rick, I do not but I have a couple of artist listed on my resources page. I am trying out techniques with graphite on white enamel. I would like to add some gold foil or gold leaf. Once the enamel is toothed I draw on my design and torch fire. I can only do this once as subsequent firings make the image fainter… So I would like to add gold on the final firing with the graphite. Does gold foil need a layer of enamel over it? Or can it left uncovered? I have heard it could turn brown can I do anything to remedy or prevent this? Thank you for your kind words. Yes, each time you fire the graphite will sink into the enamel. You can use some enamel sticks to have it last longer, = not sink in so fast, or P-3 Thompson sells, you paint it on and if sinks in also but not as fast as graphite. The foil will wear quickly if you do not add enamel over it. I would add the foil and fire it in, then try the graphite and a top enamel like N4 from Coral at Enamel Works Supply. It fires faster = a lower temp enamel. You could have it pretty dry, so not to disturb the graphite, if you wet pack, or shift it on and just to be sure you get a solid covering. 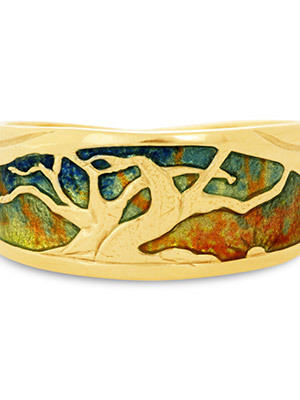 I really want to start trying my hand at cloisonné. 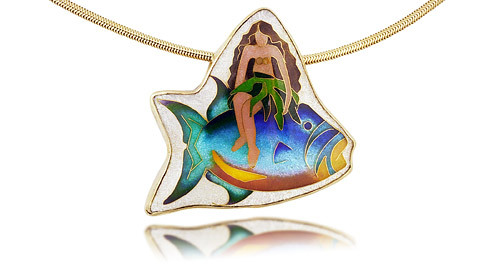 Ive read several articles that have scared me though regarding safety issues with enameling. I would be working in a home studio. Is it unsafe to try doing this type of art in a home studio. Are there any books or articles I can read that would give me info regarding the safety of this medium? Also I’ve read the enamels and other chemicals used to create the cloisonné could be hazardous in themselves but I would be applying them wet so would it not be safer? any info is appreciated it has been a dream of mine to create cloisonné pieces. Can you give me a description of your studio layout and workbench? Please. All you really need is a bench to work on, my enamels in cabinet drawers and another cabinet to put my kiln on and supplies in drawers under this. I took a photo but I am sorry it is not uploading. Admire your work, I am learning enameling and have read a lot of good books on this subject, practicing with cloisonné enameling. I learned by experience and later from books, that yellow, orange and red colors turning brown when touch fine silver directly. I always put clear base enamel as a first layer on a top of fine silver base and put gold foil under it if I want to have nice warm color. However, whatever I tried, if I use fine silver cloisonné wires, yellow turns brown when it touches cloisonné wires and I have this ugly tiny brown border around yellow cell. I ended up removing these brown lines by a burr and refiring them filled with clear enamel. It helped to fix the issue, but how to avoid it in future? I fill, like I have to always use 24k gold wires with yellow or red, but maybe there is a secret? Thank you so much, your articles always help a lot. Yes that can be a problem! Like you said you go back and remove the burnt enamel. So try to put flux along the fine silver wires. I use a brush with a very sharp tip, it makes it easier to get against the edge with a small amount of enamel. I have found one yellow that does not burn until 5 firings. Ship 190 I get it from Coral at Enamel works supply. Also at times I use blue, very light if it will not show. Such as Ninomiya’s N55. On a red I use a darker blue. Hope you found this helpful. But I should mention As I place enamels in the cell first I put the flux next to the wires or blue next to the fine silver wires. I too am new to enameling and am trying to do this all self taught if you will. I live in Canada and there are not many places (if any) that offer classes on enameling so I am normally left to teach myself. I would love to find some good books on the steps of enameling, and on how to use many colors and shading. I love the Celtic arts and would love to use enamel to incorporate these designs but I am not finding anything that tells me how to do it. Like, do you fire in between each color, or do you layer your colors and then fire? I have really enjoyed everything I have read thus far on your site, you are a wonderfully talented artist! Gretchen, tell me where you are located. There are some classes and groups there. I have on the site the book I learned from Enamels Enameling Enamelist it is a great started book. Looks as if my reply didn’t show up. I live in Calgary, Alberta. Again, thank you for your time and response to my questions. Connect with this group target=”_blank”>http://metalartsguild.ca/group/enamel” Catherine Crowe is very strong in the technique and the organization of an enameling guild there. You should be able to connect with someone in your area from this. There is lots of info on my website. Read, it takes time, experimenting and patience. There are classes all over the US these days. I have listed on the site guilds also. So check it out. All the northern states. I have listed also Glass on Metal mag. a good way to stay connected with what is going on, all levels of artist. Get it. My name is Taylor. I am somewhat new to enameling and came across your blog. It’s amazing! So much information! I have several specific questions that I thought you may be able to assist with. We are using bronze as the metal. Is it possible to enamel on bronze? We enamel at 1450. We leave it for 2 min but when we check it usually is still sandy looking so we leave for longer and keep checking on it. We just recently learned about using a base enamel so we have been using foundation white from Thompsons enamels. This has helped a lot. However, the subsequent layers/colors seem to shrink a lot!!! We end up having to do several layers just to make it fill up the bezel. Is this normal? Does enamel usually shrink? I’m wondering if this could be happening because we are not working on a flat surface more of like a mini “bowl” that we are trying to fill. Does this have to do with whether the colors are low/medium/hard? I am not sure what they are. They are Thompson brand opaque colors. Are they all the same hardness? After several layers, once we have finally filled the “bowl”, the enamel never comes out flat. There are lumps…not bubbles, but lumps. I originally thought this could be because it hadn’t melted completely but when we leave it in the kiln longer, the colors seem to burn. I have tried sanding it to be flat and then working my way up sand paper grits and even using a polishing wheel but it never gets as shiny as it is when it’s just out of the kiln. Another frustrating issue is that after firing the enamel, the metal gets completely black from fire scale. Why is this happening? Even if my enamel came out perfectly, I would have to scrape off the fire scale on the metal bezel which would scratch the enamel next to it. Is there a way to avoid fire scale? I see very small black dots in the enamel. What could this be caused by? I see a lot of people in your blog complaining of white dots but mine are always black. Lastly, I see that you talk a lot about counter enameling. I am wondering if this is necessary in my case. Since it isn’t a flat surface, but instead a ring, I don’t think it makes sense to do it. The one thing I haven’t had a problem with is cracking and I believe that is the purpose of counter enameling. So I’m hoping it isn’t necessary. I would really appreciate any answers you can provide. This is driving us crazy!!!! We see how much success you and others have had and we are not sure why it is so difficult for us. Especially since we have seen how intricate of designs people can do. All we need is a circle of color (just the color spot, no design) and we have worked for over 1 year and still haven’t been successful. We would love to be able to accomplish our goal. Thanks for visiting and sharing your experience. It is great to hear such determination! I was in a garage once for 4 years trying to get clear transparent enamels. I read a book on enameling and they talked about silver. I thought (with no metal back ground) all silver was created equal. I continued for some time with gray cracking enamels before I read the book again and realized they said fine silver. In the chapter on Metals of Enameling you can see in the top right hand corner of the home page, I have listed the metals enamels like. Bronze is not one. Bronze and brass are very close metals. Brass is an alloy of copper and zinc, bronze is an alloy consisting mainly of copper, combined most often with tin. 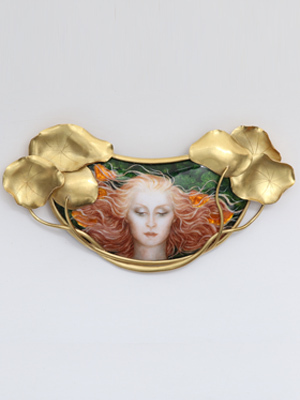 Enamels love copper but with just a pinch of zinc it becomes brass and is problematic to enamel. Usually you get 2-3 firing on brass then the enamel no longer adheres to the metal. Bronze I have not heard or read of anyone enameling on. But I will do a little research. Several things come to mind. 1450 degrees is a low temperature to be firing if you were using copper.This could answer the lumps. 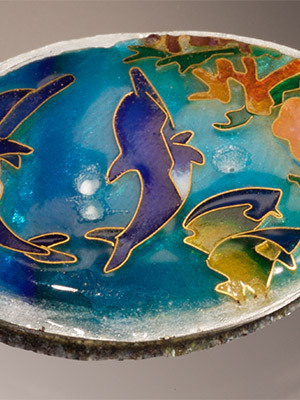 Enamels are were fine grains of glass and as you layer colors in they do melt and appear to recede. There is air between each grain, like balls, but when fired they all melt together and for a solid layer of glass. I fill my cells 10 – 15 layers that will measure in the end 1 mm or a bit more. I am going thin in my layers as that is how you get clarity in transparent enamels. If you read on the site about fluxes for the different metals, you will see almost all enamels need flux. Enamels really like pure metals, and even then burn when they touch the metal. This is what you are seeing once you fire the enamel enough to fuse properly yet it is too late and they are burnt. So you are on the right track using a flux. Uncle Paul probably knows this like painting a car, you need a primer. And you speak of oxidation = firescale, of the bronze during the process, which get oxide flakes in your enamel = black dots. Yep, again copper likes to oxidize. If one is working in copper all the time there is a coating available to paint on the surface you will not apply enamels on. It is called Scalex Coral carries it at Enamel Works Supply, her info is on the recourses page. And last the counter enamel is necessary if the jewel is thin and flat. If the metal is 14 ga you can get away with out counter. 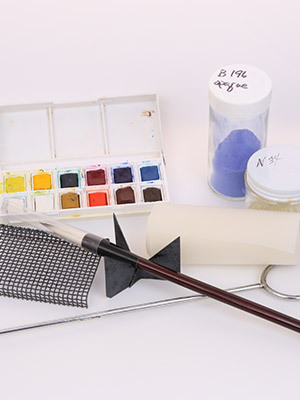 There are many books on enameling and hundreds of classes these days. The magazine Glass on Metal is very helpful, info is on the site, and list classes all over the country. There is a page of Guilds around the country that might help also. 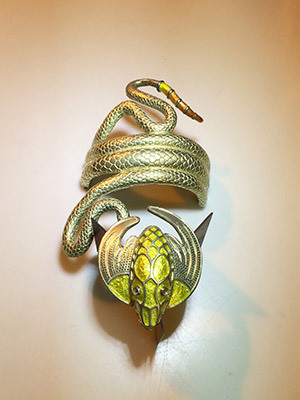 We have been trying on bronze because the original ring that we are trying to replicate is a goldish color. Since we are not ready to try (and possibly fail) with gold, bronze and brass have been the metals we have used. It sounds like it would be a good idea to try copper as well. Just this past weekend we successfully poured the ring using a vacuum caster. We will attempt the enamel this coming weekend. We will start off by firing at a higher temperature since that will hopefully help with the lumps. And we will continue using the flux. Thank you for the tip on firescale. We have ordered Scalex. That should make a big difference! As far as polishing, I have been doing it mostly by hand. I start with a 200 grit sandpaper and work my way up to 2000 grit. I then use a polishing wheel. The metal looks beautiful and the enamel looks shiny but not as shiny as it does when it’s just out of the kiln. Uncle Paul ordered me a Graves Cabmate (such a generous guy!) which should be arriving soon. I don’t know too much about it but it sounds like it should make the polishing aspect a lot easier. When you have time we would love to see images. Could be a bit more helpful on polishing then. And before you use new supplies to be sure it is best. I use up to 50,000 grit diamond wheels or paste. Great info and site! I hope you do not mind my curiosity but I am looking for more plique a jour info on classes. I am interested in Cloisenee for a few distinct applications- but feel led into plique a jour for its aesthetic relief when used for accent. 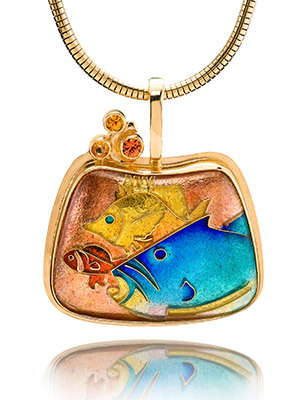 I realize that the plique a jour is the higher tier of enamelling arts- but think it would accentuate a myriad of my own personal interests well. I am trying to establish a few contacts and build a few relationships with artists who are indeed educating their public- and your site is definitely one of my favorites! Thanks again and I look forward to hearing from you- By the way- I too, have taken a course at Wildacres- Fred Sias’s lost wax casting- and am looking into John Campbell and William Holland for classes- any reccomendations of instructors or starter books that are not coffee-table books? Thanks again. And I look forward to communicating more with you as time goes on! Thanks for the visit. Contact Diane about classes here “http://www.plique-a-jour.com” she is currently have classes and is in the Miami area. On casting try Tim McCreight’s book Practical Casting Rio has it item #550-185. He is very clear in his teaching techniques.